Spare Filter For Czech M10M Gas Mask | BUDK.com - Knives & Swords At The Lowest Prices! This is a spare filter for the Czech M10M Gas Mask which is item number 01 BKM10M. Note: Though these gas masks and filters may function as intended, they have likely exceeded their expiration dates and should be used at your own risk. Having used the M17 Series Protective Mask in real world conditions, I was very pleased to find the M10 was close match. The availability of replacement filters and price was a concern but BDUK removed that notion altogether. I am very satisfied with my purchase and will keep coming back. 1. Research the masks and decide on which one is right for you; there are so many to choose from. 2. be certain filters are affordable and available; 3. buy as many filters as you can. 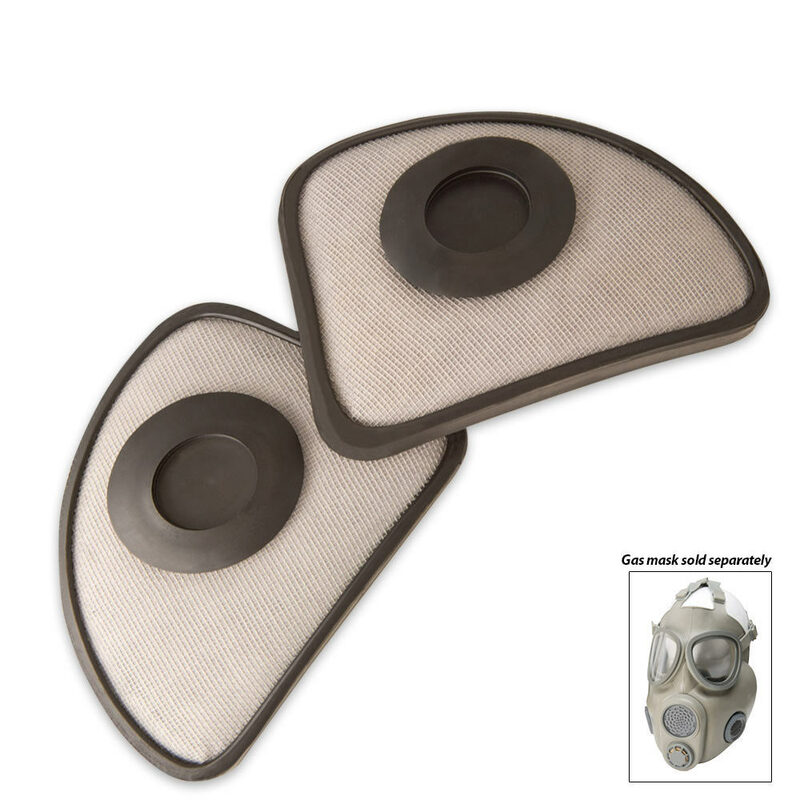 These filters are easy to carry and convenient to store. All of mine were received in hermetically sealed, heavy-gauge containers. Canisters are good but expire and are bulky to carry. I have an M10M for every member of my immediate family. Hope I never have to use'em but I'm fairly certain I will. So, I intend to buy more filters. BudK has the best supply and pricing for these apocalyptic necessities. You cannot beat the price for these filters. Easy to install, just take out the rubber plugs first. Very similar to the mask and filters I used in the military. Even comes with a canteen top so you can drink water, or other liquids, with the mask on. Very happy with order, great price, in excllent condition, great fit, will be ordering more. I have one mask for each of my family members and my team has ordered them two. If I had the money I would buy you out! Real cool product with extra supply's ! Carry bag too! Again thanks a lot and by the way I have already turned my friends on to it! Cheapest filters by far of any outlet I'v checked filters are in original packaging and execllent condition. One recomendation is after you buy them use a home vacum sealer an re-seal them in a new bag.